Click here to read the Winter 2018 Newsletter! 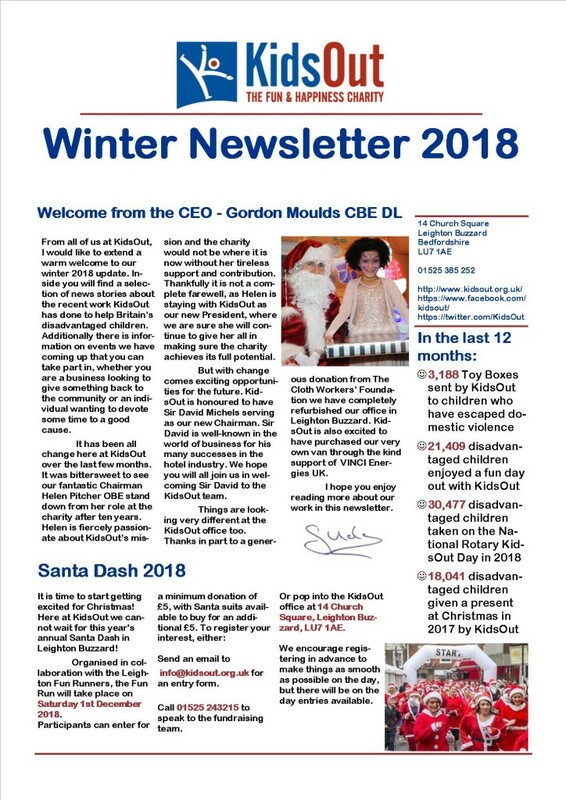 KidsOut has published their Winter 2018 Newsletter, which you can read via the link above. Inside you will find information about the Charity’s news and events over the last few months, things we have coming up for people to get involved with, as well as a special feature celebrating ten years of Toy Box. What are you waiting for, click through and read the newsletter now! We also send out our newsletter to those signed-up to our mailing list. To receive the next newsletter straight in your inbox, visit our Contact us page and enter your email address in the space provided.